BSP plans to contest in 500 of the 543 Lok Sabha constituencies in the five-phase general election that starts on 16 April. Chander Bhan Prasad, a Scheduled Caste activist. than 500 candidates. “As of now, we are fielding around 400 candidates. secretary, All India Congress Committee (AICC). be fielding candidates on the remaining seats”. BSP’s numbers game would seem to be working if recent state elections are any indication. states, the earlier ones are based on the 2004 general election. their vote share and there is a good chance that BSP will emerge as number one largest party in the coming elections.”he added. state. We hope to win more than 50% seats,” added Nadar. for the coming Lok Sabha elections. Among the 13 names announced today for Punjab, J K N Chibber will contest from the Amritsar constituency. and Dipak Joshi from Patiala. Baramulla, Yusuf Baig from Srinagar and Nisar Ahmed Khan from Anantnag. is just a matter of time where everyone will feel that all are equal. How India Will Become Once Again Buddhist? Kosambi, Rahul, Kashyap etc. from whom very few may now be alive. Fourthly, there is a vast mass who became Buddhists after Dr.
mostly driven out, very much in contrast to Kashmiri Pundits Refugees. as Hindu. Enough has been written about this tendency. population disapproves. There are some Ambedkarites praising Osho also. groups, who are well supported by the Buddhist community outside India. they are not playing in the hands of Manuvadis. is not the same as Dr. Ambedkar taught. the middle of December 1956. That day never arose. Conduct” for the followers of Buddhism. we are behaving. We have also to decide our priorities. We have been hearing various terms like “Brahmanism, brahmanya, brahman vaad, manuvaad, sanatanism, orthodoxy” etc. Now a days, all these words are replaced by “hindutwa” or some new terms like “bharatyatwa” or “rastriyatwa” or “national” and so on and so forth, used in different shades of meanings. returns from it. Your duty is only to do the “karmas,” i.e. the deeds related to following the“chaturvarna”. This is the divinely ordained “dharma”. When this “dharma” gets dormant, god takes birth to punish the evil, i.e. those who disturbed the “dharma”and preserve those who are “sadhus”, i.e. those who follow this “dharma”. livelihood by scavenging. Only he must become an expert in scavenging. of “Chaturvarna.” Even now there are supporters to this theory. be challenged. After all god is the one who has created the universe. this is avoided, I have no objection to coexistence of different sects. minister. 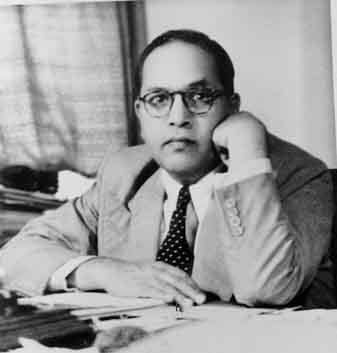 Buddhist, Phule, Shahu, Ambedkar Ideology person to INDIA. Dhamma, Bahenji doing well we have to support him by VOTE. Then only the Baba Saheb Ambedkar Dream become fulfill. tears” for the poor and the downtrodden. steps to unearth black money. The BSP would contest all the 26 seats in the Lok Sabha from Gujarat. governments had “ditched” the people. insurgency and naxalism in the country. it would take steps to amend the Constitution. Addressing a rally in this Himachal Pradesh town, she said her party was for the welfare of all sections of society. adding that the BSP had given representation to all communities. upper castes and the minority communities,” she said. The BSP chief said her party had no pre-poll alliance with any political party in the hill state. she said, announcing the names of the party candidates for these seats. elections in 2007. It could win just one seat in Kangra. leaders and the party high command. Sources in the BSP said the party is facing leadership crisis in the state after the exit of Mankotia. voters, but the BSP has so far failed to make inroads in the state. The state, which has a total of 4,541,072 voters, will go to the polls May 13. What is BSP’s new name? The panel has given the BJP leader two days to submit his response.